Like most hunters these days quality game scouting time can be hard to come by and when you do get that free time to hunt you want to go to your block and secure that trophy game or fill the freezer and this also applies for primary producers trying to eliminate cunning stock threats that don’t have time to spend days on end tracking predators. 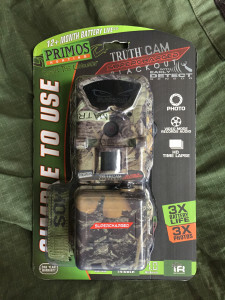 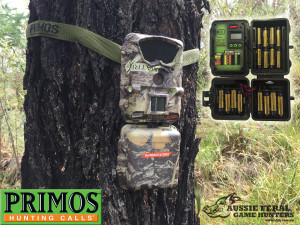 The Primos Truth Cam Supercharged Blackout Trail Camera is ideal for game and property surveillance with its early detect 45 degrees PIR sensor and 1 second trigger speed at a night range of 55ft (17m) that will pick up almost all motion eliminating the chance of missing that crucial photo, and with black light LED you can ensure that it won’t be detected whether it has four legs or two.. The Truth Cam Blackout unit case will house 8 “AA” batteries and the auxiliary battery case will hold an additional 16 AA batteries giving you a total of 24 AA batteries to give you maximum life in the field without maintenance. 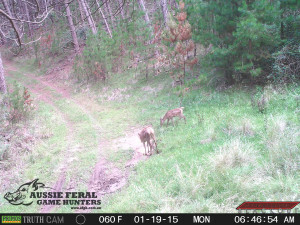 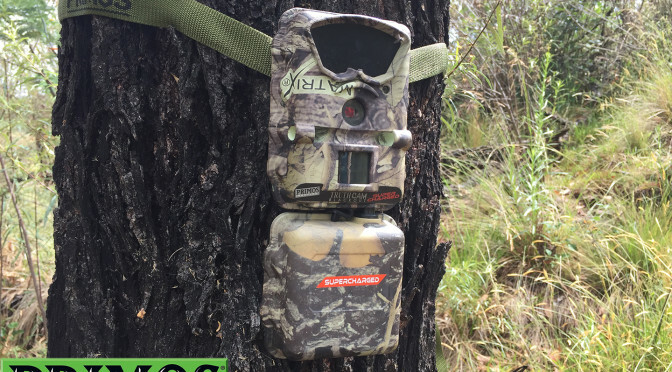 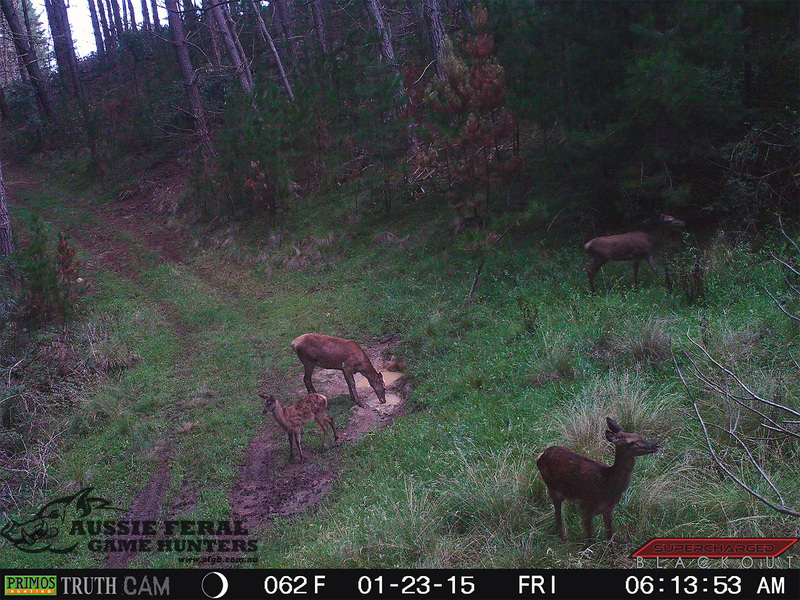 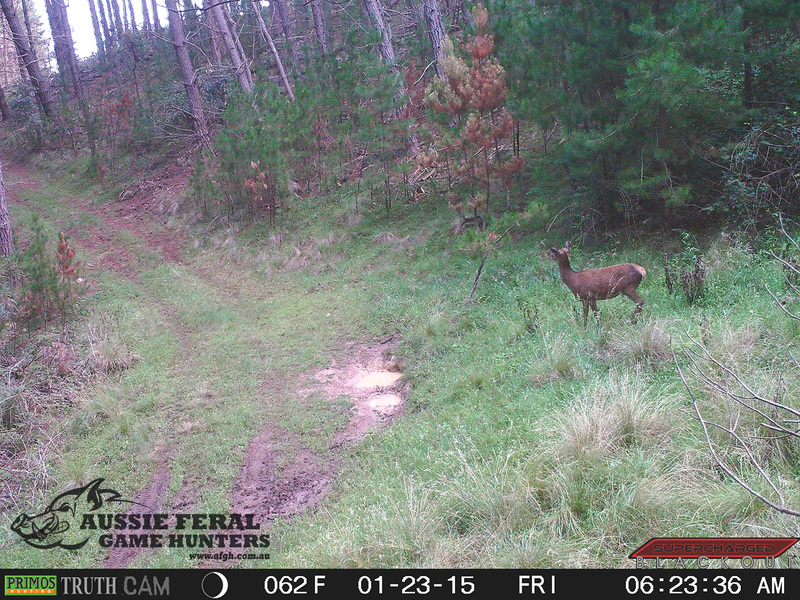 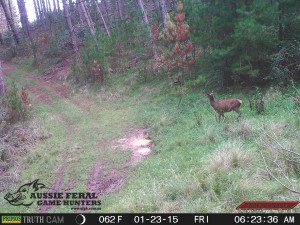 For our testing we were able to take over 1000 daytime photos and it reduced the battery level to 68% which we felt is far superior to other trail cameras test in the past. 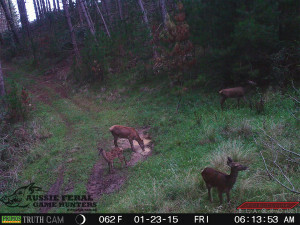 The quality of the 7MP Primos camera images is rather impressive given the low light inside the plantation and successfully captured game with minimal blurring as found in other makes. 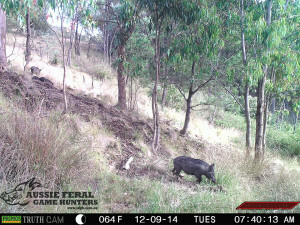 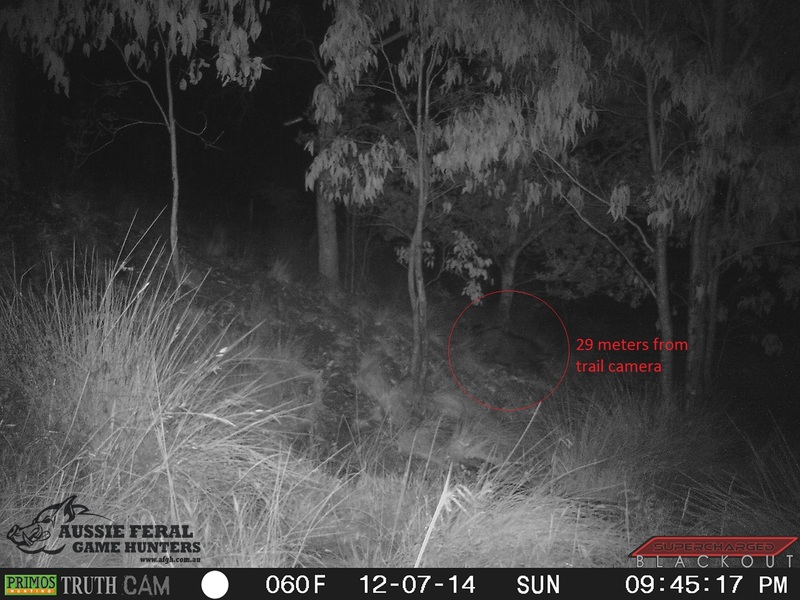 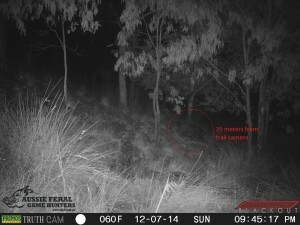 The camera states its effective to 17m with the black led nightlight but we successfully captured a running boar at 29m on numerous occasions. 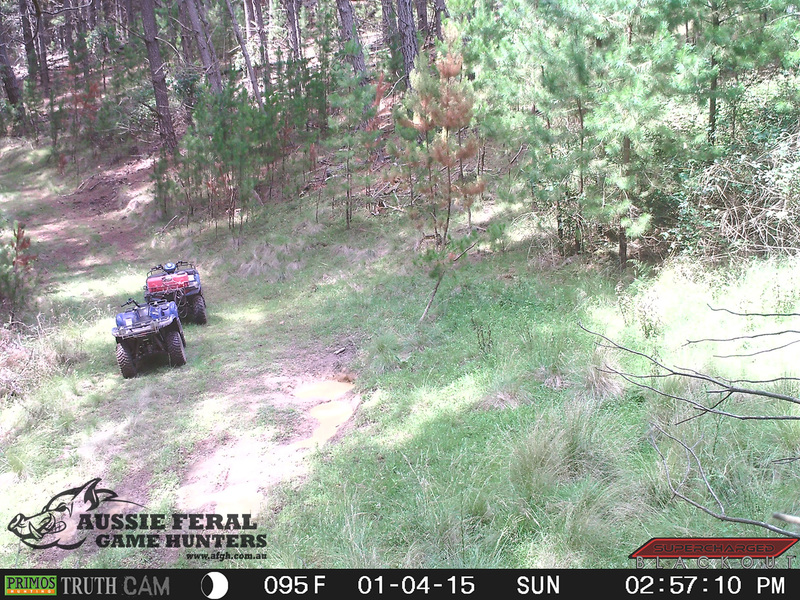 As shown above the camera is very covert and ideal for long term property surveillance with its 12 months+ lifespan you only need to check it if you have a problem, and during this review we successfully caught illegal deer hunters and trespassers. 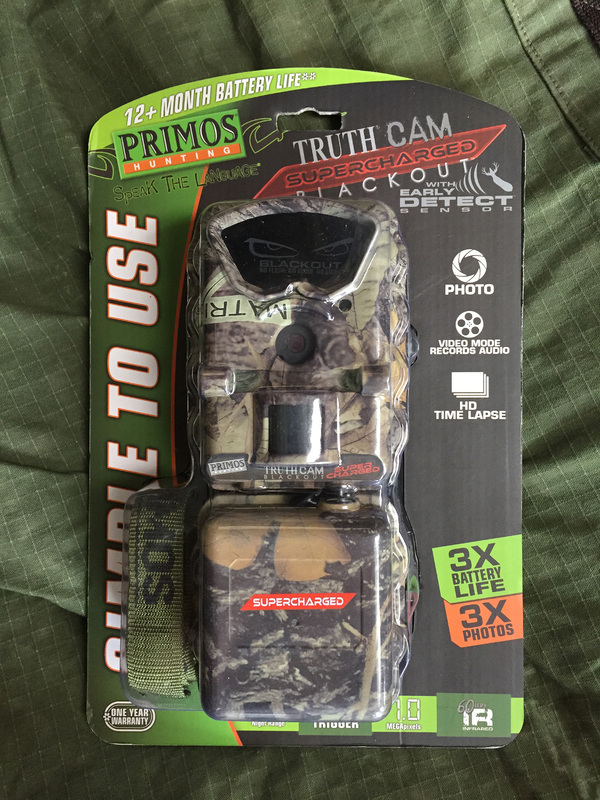 The Primos Truth cam is an efficient, cost effective remote guard for your assets.